"Sales decreased 22.9% year-on-year (a 14% decrease on a constant currency basis) to 144.4 billion yen (1,402 million U.S. dollars). This decrease was primarily due to a significant decrease in sales of image sensors, reflecting the impact of a decrease in image sensor production due to the 2016 Kumamoto Earthquakes, lower demand for image sensors for mobile products, and the impact of foreign exchange rates. Sales to external customers decreased 21.4% year-on-year. Operating loss of 43.5 billion yen (423 million U.S. dollars) was recorded, compared to operating income of 32.7 billion yen recorded in the same quarter of the previous fiscal year. 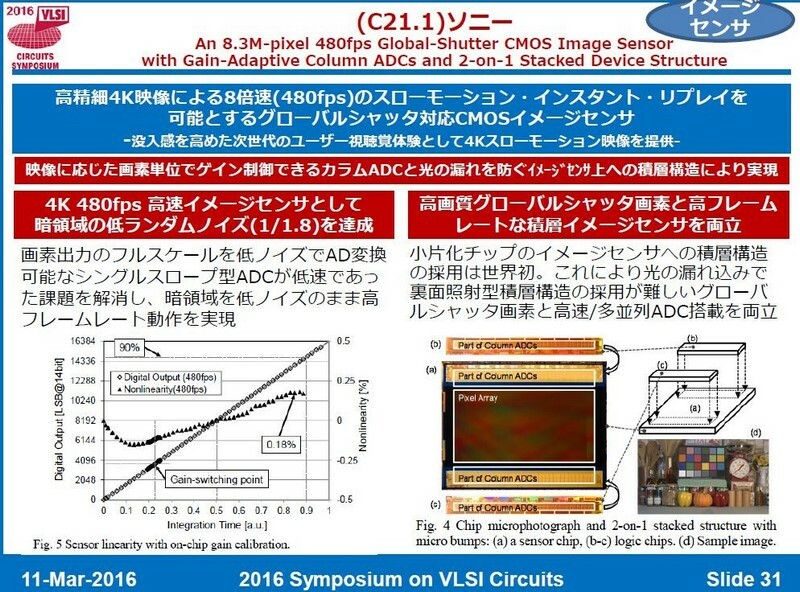 This significant deterioration was due to the impact of the above-mentioned decrease in sales, the 20.3 billion yen (197 million U.S. dollars) impairment charge against long-lived assets for camera modules, net charges of 13.6 billion yen (132 million U.S. dollars) for expenses resulting from the 2016 Kumamoto Earthquakes and the negative impact of foreign exchange rates. During the current quarter, there was a 8.2 billion yen negative impact from foreign exchange rate fluctuations." The Semicondustor business updated forecast for Sony fiscal year ending on March 31, 2017: "Sales are expected to be lower than the May forecast primarily due to lower-than-expected image sensor sales reflecting the impact of foreign exchange rates, partially offset by a faster-than-expected recovery from the 2016 Kumamoto Earthquakes. Operating income is expected to be lower than the May forecast mainly due to the negative impact of foreign exchange rates, partially offset by the favorable impact of the above-mentioned recovery." Reportedly, Ingenic Semiconductor, a small public company in Beijing, is in the process of acquiring Omnivision, and, possibly, Superpix. The deal is assumed to be a reverse merger where Omnivision gets access to Shenzhen stock market under Ingenic stock code 300223. The Omnivision deal has been reported as Ingenic Semi's official announcement at the Chinese-language EastMoney site. Thanks to XW for the link! SeekingAlpha's Samsung Q2 2016 earnings call transcript has a little update on image sensor sales: "Second quarter earnings improved quarter on quarter due to ...the increased sales of high megapixel [inaudible] megapixel and above CMOS Image Sensor in China. ...In the third quarter, we expect ...the sales of CMOS Image Sensor in China market to be stay solid." 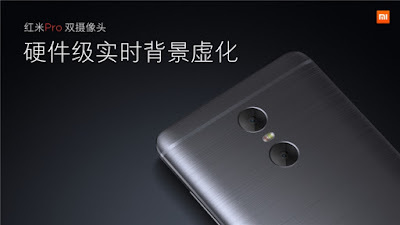 Xiaomi Redmi Pro smartphone features a dual rear camera: a 13MP Sony IMX258 is combined with an unnamed 5MP Samsung sensor "to aid depth of field recording, real-time background blur:"
"Let me speak briefly of our Imaging Product Division which is reported in the line others. Here, we had strong sequential increase in sales, thanks to our Time-of-Flight specialized image sensors entering multiple smartphone models, 10 new flagship smartphones in Q2 alone. Among these, we can mention that Huawei P9 Plus and Honor V8. And we continue to see a very good momentum. 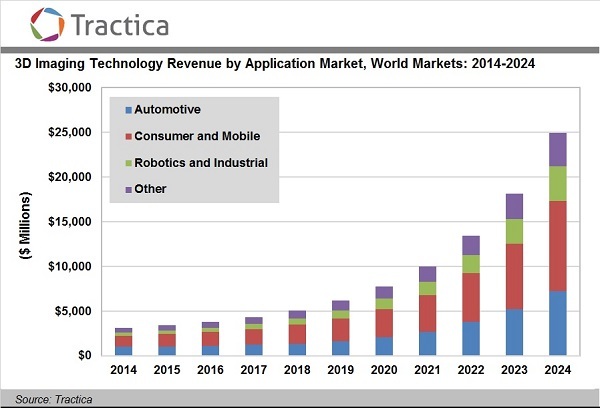 And the other good opportunity is that in the imaging and particularly in our specialty image sensors with the Time-of-Flight technology, we see momentum and we are starting also new opportunities, and this is another important contributor of our sequential growth expectation." "Basically, not much questions left. 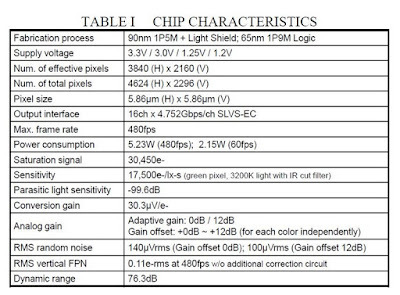 But one will be interesting around your image sensor business. There were recently rumors that one of the North American smartphone OEMs is ramping a new R&D in France, a fab for camera modules and image sensors. And I was wondering if that's an option for you? I know you discontinued the camera module business, but is that an opportunity, or yeah?" "...first of all, I confirm that ST decided to discontinue the camera module, the commodity camera module, so we have no intent to come back in this camera module. So we are focusing on specialized imaging sensor and especially our Time-of-Flight technology where we see a very good traction, especially with a nice product called Ewok (???) where we have mainly Asia Pac and especially in China smartphone opportunities. And this is where we are focusing and focus a lot on that." Janardan N. Menon - Liberum Capital Ltd.
"Just a couple of quick follow-ups from me. One is on your imaging business, the Time-of-Flight sensors. If I remember right, you've made a loss of about $80 million last year on the imaging side. I was just wondering, given the very strong growth that you've seen so far in the first half of this year and what you expect to see through the second half based on your design wins, would you be able to sort of almost eliminate that loss by the end of this year or is that going to be work in progress into next year as well?" "To respond to the first question, the answer is yes, and this is certainly an area where we can turnaround because we have the result of the camera modules and the commodity that was also linked to certain needs in terms of fab loading. And this now is done. So, it was a massive R&D effort. It was an important R&D effort with very limited sales. So now sales are coming and, of course, there is a very significant improvement." Thanks to AB for the info! Nikkei: Nissan ProPilot automatic driving technology will be used for the Serena minivan to be released in late August 2016. 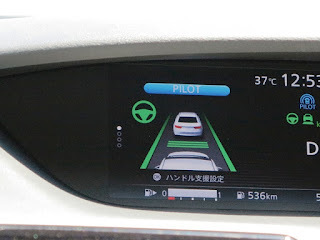 The technology supports automatic driving on a single lane of a motorway. The ProPilot uses a monocular camera attached to the windshield (inside the car). The camera recognizes vehicles on the road, white lines, measures the distance to a preceding vehicle and detect the position of the user's vehicle in the lane. The accelerator, brakes and steering are controlled based on those data. RoadToVR quotes Magic Leap CMO Brian Wallace saying that the company is working on an AR headset that’s portable, lightweight, and can be worn all day. He further said that the aim is to completely replace smartphones someday. Talking about the AR devices, James Mackie publishes a Youtube video claiming that Microsoft Hololens is "the absolute gamechanger." "There has been some debate on what typically limits the sensitivity of the phase measurements in interferometric microscopy and holographic microscopy that has been a few nm in terms of optical path length. We hypothesized that photon shot noise sets the current limit rather than other noise sources such as mechanical vibrations or power fluctuations of the illumination source. After some theoretical calculations and showing shot noise is indeed the limiting factor, we needed a tool to see how far we can push shot noise down before we hit the mechanical limits. This is only possible when you can collect a huge number of photons in a short period of time using this camera, and of course lots of light." "Sony had used TSVs in their earlier CMOS image sensors and we had expected the same for the IMX260. But we don’t see them, as they have been replaced by a direct wafer bonding process that we will discuss later. 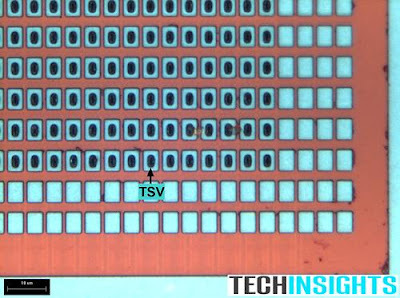 The Samsung CMOS image sensor has arrays of TSVs along its perimeter and these are used to make the electrical connections to the underlying ASIC. Simply joining the two wafers together will allow Van der Waal forces (hydrogen bonding) to hold the wafers together, but this bond strength is insufficient for the task. High temperature anneals can convert these bonds to covalent bonding, but high temperature anneals can cause problems with thermal mismatches between the materials making up the two wafers. This is where Ziptronix’s 7,109,092 (‘092) patent comes into play. This patent describes a method for subjecting the wafer’s oxide surface with a fluorinating treatment to promote the covalent bonding of the two wafers in a room temperature process. 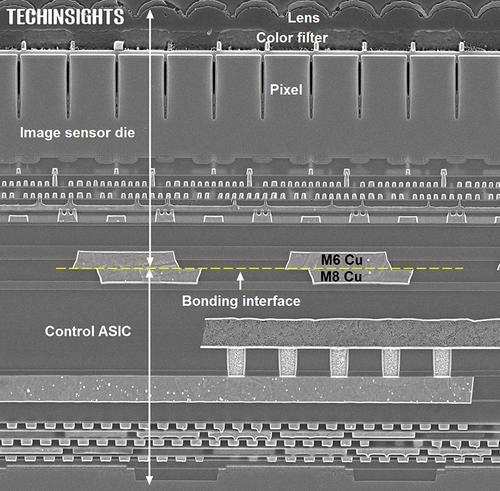 This wafer bonding process is likely done prior to the backside thinning of the image sensor wafer that might be about 150 µm thick, as is the control ASIC. The two wafers would brought into alignment using IR microscopes to see through the wafers to their respective alignment marks. This process has yielded a misalignment of the image sensor’s metal 6 pad and the control ASICs metal 8 pad of less than 0.25 µm." Samsung uses arrays of through silicon vias to connect its S5k2L1SX image sensor to its underlying ASIC. Figure 7 shows a series of Through Silicon Vias (TSVs) arranged on an approximately 5 µm x 8 µm grid pattern. The TSVs are the dark oval shapes seen at the center of each grid point. 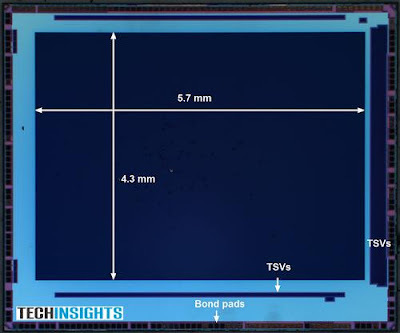 The TSVs connecting the image sensor die to the metal 7 traces of the control ASIC was formed after the two dies are affixed to each other, and after the image sensor die had undergone its backside thinning, using a TSV last process. The TSV metallization appears to be tungsten with probably a titanium nitride barrier and possibly titanium adhesion layers. Using TSVs to electrically connect the image sensor die to the ASIC certainly gets the job done, but at the cost of the added real estate needed for the TSV arrays." 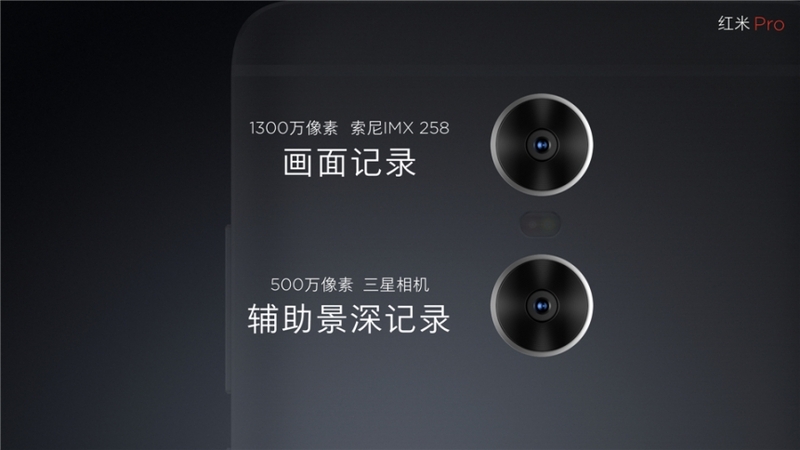 PRNewswire: Meizu MX6 phone features Sony new 12MP 1/2.9-inch IMX386 rear camera sensor with 1.25um pixel. 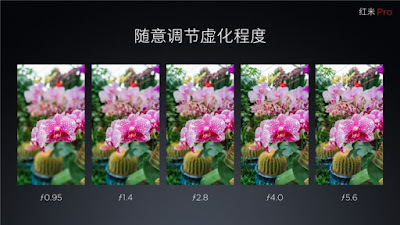 Meizu says its quality is similar to the one in Galaxy S7 camera. "The high-density phase detection pixel embedded in the sensor brings enhanced focus accuracy and speed," says Meizu. 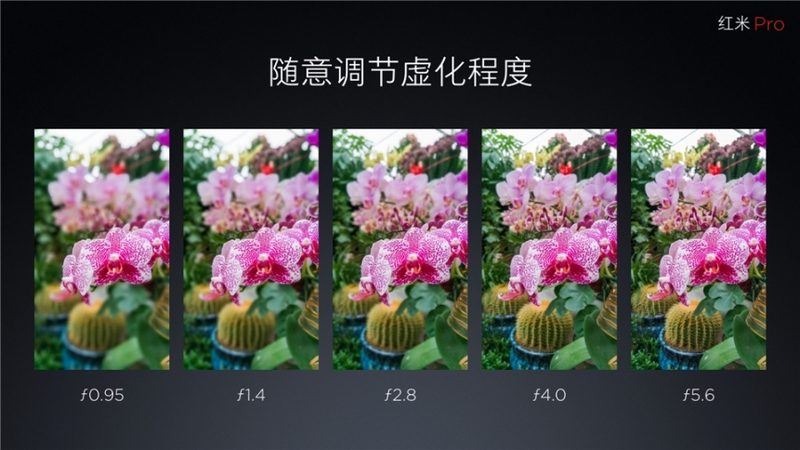 The camera has 6-element F2.0 lens and achieves the autofocus speed of 0.2s. An upgraded ISP is said to achieve the "camera speed of 319ms." Digitimes quotes Chinese-language Commercial Times saying "Pixart is expected to complete tape-out of chips supporting VR (virtual reality) technology by year-end 2016, said the paper, adding that the chips will support next-generation Nintendo NX gaming machines." Macrumors reports that Apple is to open a research lab in Grenoble, France focused on developing image sensors, according to French newspaper Dauphiné Libéré, with details posted in iPhon.fr. Apple is said to have a team of dozen researchers and engineers working on imaging R&D for more than a year at Minatec, in collaboration with STMicro. Apple plans to have approximately 30 engineers in the new research lab, which will occupy about 800 sq. m.
Thanks to RP for the link! "Overall, Kinect v2 can be considered as the winner of the trio. Compared to the other two devices, it offers approximately ten times more pixels and a significantly larger FOV at a fraction of the price. It is also the most accurate, as it can achieve up to millimetre precision. SR4000 is at its best almost as accurate, but on the other hand it is highly sensitive to background light. D-IMager differs significantly from the other two, as its depth accuracy is nearly tenfold lower." 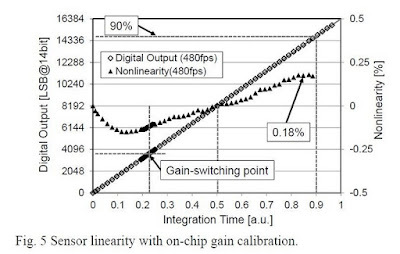 "The switchover is moving forward surprisingly quickly in terms of the adoption of CMOS sensors for new design-ins within facilities and systems. Most customers have taken the imminent discontinuation of Sony's CCD sensors as an occasion to reconsider their current CCD cameras and replace them at the next possible opportunity with CMOS-based cameras. This makes sense for two reasons: New CMOS cameras can deliver faster speeds and better image quality on the one hand, yet through their low prices also offer a better price/performance ratio on the other." BusinessWire: The 8MP KAI-08052 CCD is the first device in ON Semiconductor’s CCD portfolio with enhanced NIR response, provides up to twice the sensitivity in NIR as the company’s standard Interline Transfer CCD pixel design. The new 5.5um CCD pixel design used in the KAI-08052 extends the electron capture region deeper in the silicon to better capture electrons generated by long wavelength photons. 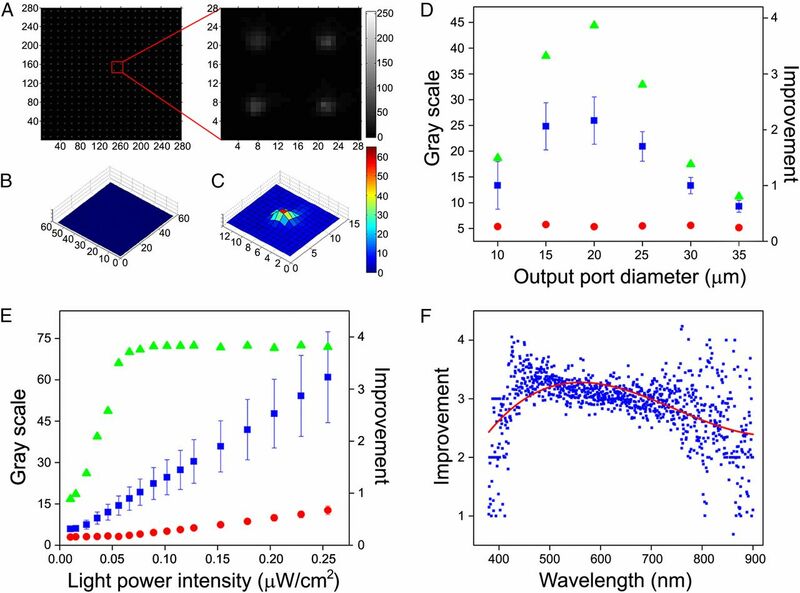 This deeper pixel well improves detection of NIR wavelengths by up to a factor of two depending on the specific wavelength studied. 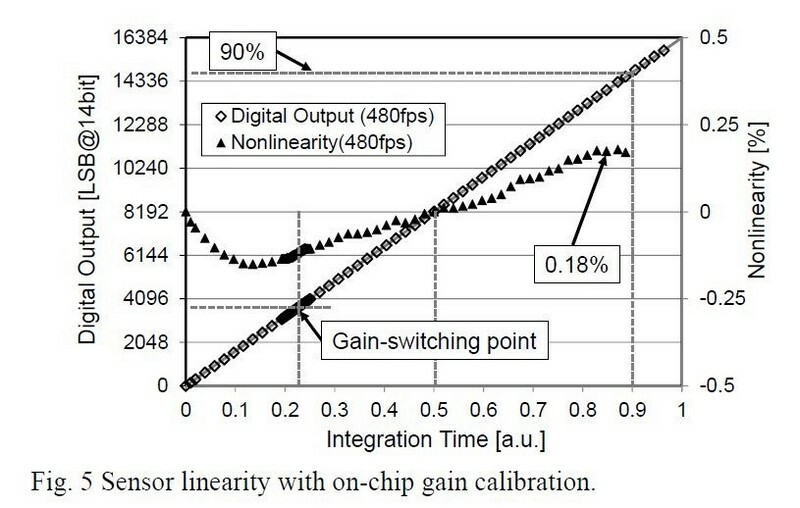 And since the well structure also isolates the photodiodes from each other, this increase in NIR sensitivity comes without any reduction in image sharpness. "Although organic dye color filters are widely used in color image sensors, such organic dye color filters absorb light in all but one certain wavelength band. Therefore, using such color image sensors may cause a relatively large amount of light energy loss and a low light efficiency." 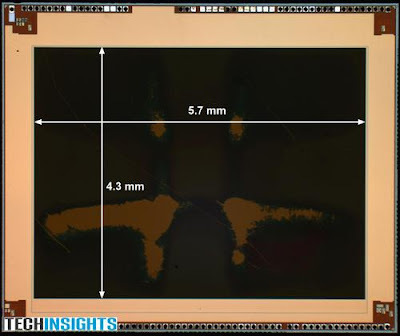 Albert Theuwissen publishes an excellent series of posts "Butting Versus Stitching" comparing different ways to combine large format image sensor out of smaller parts, some of them quite exotic - part 1, part 2. Automotive News: Japan became one of the first countries allowing vehicles to use cameras instead of mirrors, beginning June 17, 2016. EU too is expected to revise its local regulations this year, while the US is seen adopting the mirrorless standard in 2018, and China is expected to do it too in the coming years. The promise of mirrorless cars is sparking a rush of suppliers to the technology, including Japan's Ichikoh Industries and Germany's Robert Bosch GmbH. By 2023, about 29 percent of the Japanese market or about 2.3M vehicles, are expected to have video monitors as interior mirrors. At the same time, it's forecasted that about 12% of the market, or about 900,000 vehicles, will have cameras in place of exterior sideview mirrors. 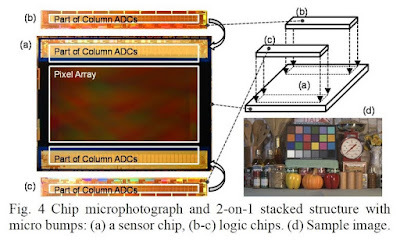 From the abstract: "to date, strategies toward improving low-light imaging primarily focus on developing electronic image sensors. 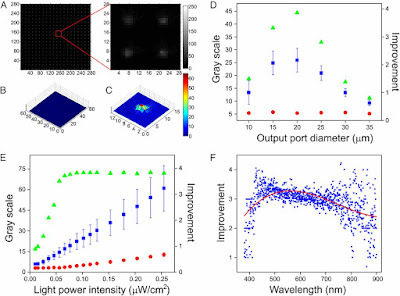 Inspired by natural scotopic visual systems, we adopt an all-optical method to significantly improve the overall photosensitivity of imaging systems. Such optical approach is independent of, and can effectively circumvent the physical and material limitations of, the electronics imagers used. 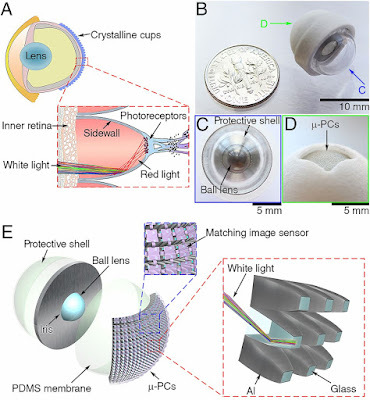 We demonstrate an artificial eye inspired by superposition compound eyes and the retinal structure of elephantnose fish. 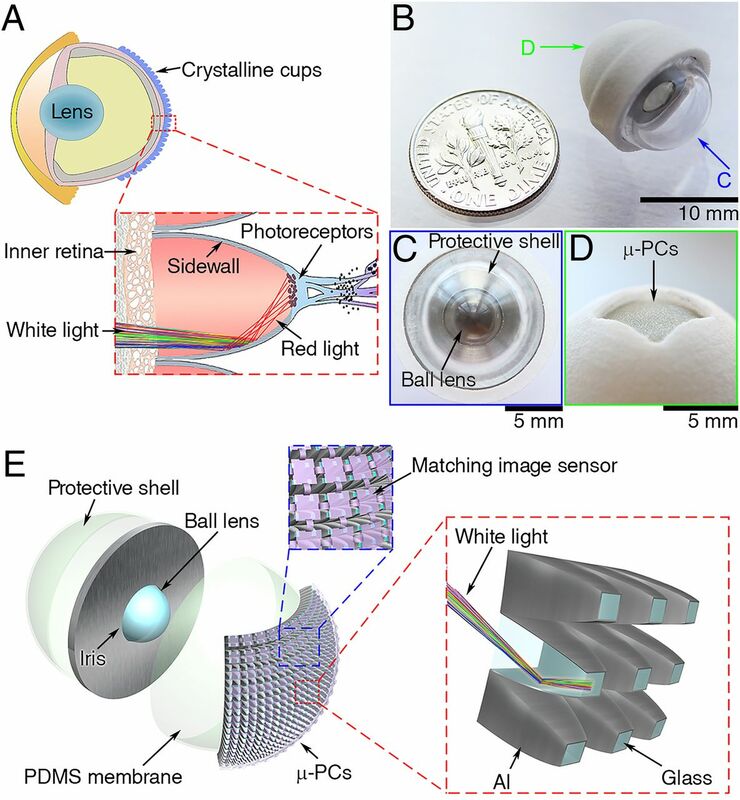 The bioinspired photosensitivity enhancer (BPE) that we have developed enhances the image intensity without consuming power, which is achieved by three-dimensional, omnidirectionally aligned microphotocollectors with parabolic reflective sidewalls. Our work opens up a previously unidentified direction toward achieving high photosensitivity in imaging systems." e2v’s image sensors have accurately guided NASA’s Juno spacecraft to reach its destination, Jupiter. e2v’s TH7890 512 x 512 17 micron pixel front illuminated area array image sensors for star-trackers were provided by e2v’s manufacturing centre in Grenoble. They have been used to determine the orientation of the spacecraft by measuring its position relative to stars. These optical devices were specifically designed to ensure very high pointing accuracy and stability over long periods and to survive the severe radiation surrounding the planet, as Juno flies closer to the gas giant than any other spacecraft ever before. JunoCam will use a ON Semi's KAI-2020 CCD to provide the first color pictures of Jupiter’s cloud tops from orbit. The imaging capabilities of JunoCam will be impressive. The camera will capture data in four separate wavelength bands: blue (420–520 nm), green (500–600 nm), and red (600–800 nm) for reconstruction of a color image; plus a band from 880–900 nm to image a narrow absorption of methane centered at 889 nm. And the 3 km resolution available at closest approach (an order magnitude better than that available from the Voyager, Galileo, and Cassini probes) will enable viewing of small-scale structures in the atmosphere. 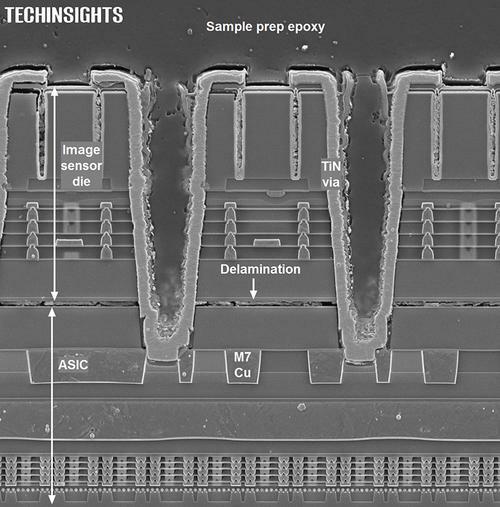 A sub-0.5e−rms temporal read noise VGA (640H×480V) CMOS image sensor has been integrated in a standard 0.18μm 4PM CMOS process. The low noise performance is achieved exclusively through circuit optimization without any process refinements. 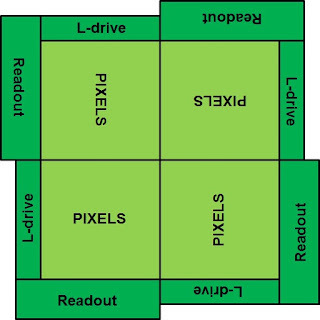 The presented imager relies on a 4T pixel of 6.5μm pitch with a properly sized and biased thin oxide PMOS source follower. 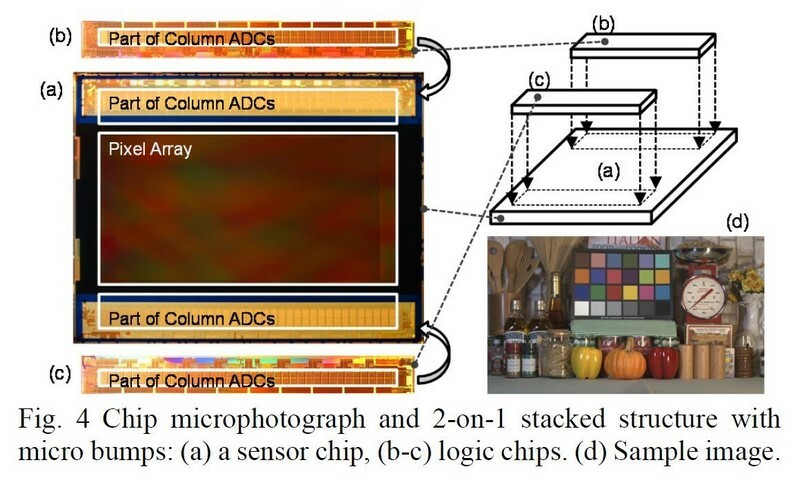 A full characterization of the proposed image sensor, at room temperature, is presented. 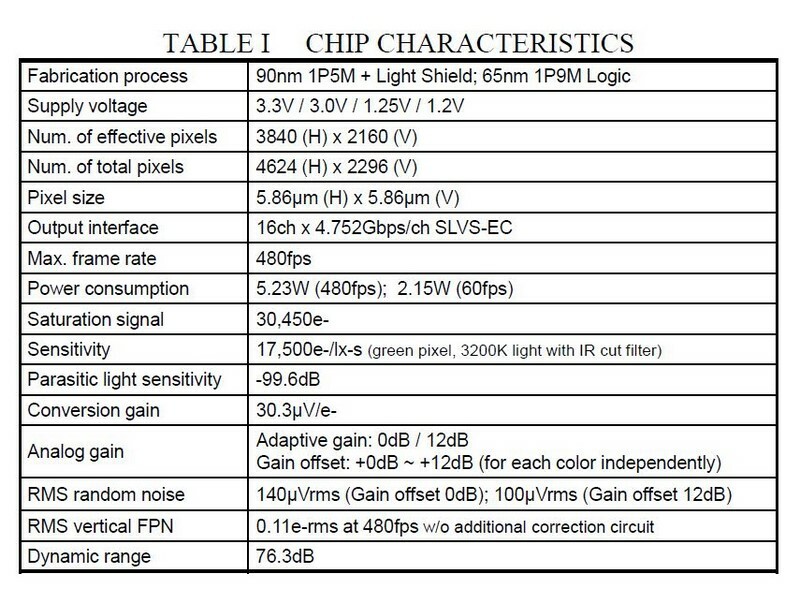 With a pixel bias of 1.5μA the sensor chip features an input-referred noise histogram from 0.25 e−rms to a few e−rms peaking at 0.48 e−rms. The imager features a full well capacity of 6400 e− and its frame rate can go up to 80 fps. It also features a fixed pattern noise as low as 0.77%, a lag of 0.1% and a dark current of 5.6e-/s. It is also shown that the implementation of the in-pixel n-well does not impact the quantum efficiency of the pinned photo-diode. CEVA introduces CDNN2 (CEVA Deep Neural Network), its second generation neural network software framework for machine learning. Coupled with the CEVA-XM4 intelligent vision processor, CDNN2 offers significant time-to-market and power advantages for implementing machine learning in embedded systems for smartphones, ADAS, surveillance equipment, drones, robots and other camera-enabled smart devices.